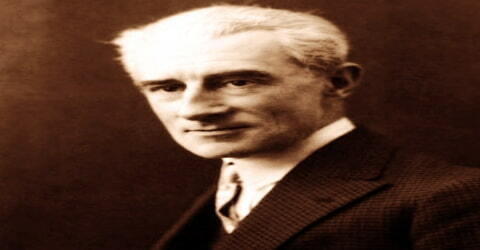 Maurice Ravel – French composer, pianist, and conductor. A French composer of Swiss-Basque descent, noted for his musical craftsmanship and perfection of form and style in such works as Boléro (1928), Pavane pour une infante défunte (1899; Pavane for a Dead Princess), Rapsodie espagnole (1907), the ballet Daphnis et Chloé (first performed 1912), and the opera L’Enfant et les sortilèges (1925; The Child and the Enchantments), Maurice Ravel was born on March 7, 1875 in the Basque town of Ciboure, France, near Biarritz, 18 kilometres (11 mi) from the Spanish border. He was brought up in Paris since he was three months old. It is possible that he never went to school for his formal education; but began his training in music at home at the age of seven, being enrolled at Conservatoire de Paris at fourteen. In the 1920s and 1930s, Ravel was internationally regarded as France’s greatest living composer. Unfortunately, most of the faculty members failed to discover his genius, with the Conservatoire director taking up a hostile attitude towards him. Consequently, Reval was not only expelled twice from the Conservatoire, but his entries for Prix de Rome were rejected five times, creating a furor among liberal musicians and musicologists. Nonetheless, he continued to write, very soon establishing himself as a major composer, earning international laurel by the time, he was in his early thirties. A slow but meticulous composer, he wrote less than most of his contemporaries, earning critical success with each of them. To take his work to the wider public, he also had several of his works recorded. Although he is frequently linked with Claude Debussy as an exemplar of musical impressionism, and some of their works have a surface resemblance, Ravel possessed an independent voice that grew out of his love of a broad variety of styles, including the French Baroque, Bach, Mozart, Chopin, Spanish folk traditions, and American jazz and blues. His elegant and lyrically generous body of work was not large in comparison with that of some of his contemporaries, but his compositions are notable for being meticulously and exquisitely crafted. He was especially gifted as an orchestrator, an area in which he remains unsurpassed. As a slow and painstaking worker, Ravel composed fewer pieces than many of his contemporaries. Among his works to enter the repertoire are pieces for piano, chamber music, two piano concertos, ballet music, two operas, and eight song cycles; he wrote no symphonies or church music. Many of his works exist in two versions: first, a piano score and later an orchestration. Some of his piano music, such as Gaspard de la Nuit (1908), is exceptionally difficult to play, and his complex orchestral works such as Daphnis et Chloé (1912) require skillful balance in performance. Maurice Ravel, in full Joseph-Maurice Ravel, was born on 7 March 1875 in Ciboure, a small village on the river Nivelle in the Pyrenees region of France, close to its border with Spain. His father, Pierre-Joseph Ravel, was born in Switzerland. He was a successful engineer, inventor, and manufacturer, who was equally passionate about music. His mother, Marie, née Delouart, was Basque but had grown up in Madrid. Both Ravel’s parents were Roman Catholics; Marie was also something of a free-thinker, a trait inherited by her elder son, who was always politically and socially progressive in outlook in adult life. He was baptized in the Ciboure parish church six days after he was born. The family moved to Paris three months later, and there a younger son, Édouard, was born. He was close to his father, whom he eventually followed into the engineering profession. Maurice was particularly devoted to their mother; her Basque-Spanish heritage was a strong influence on his life and music. Among his earliest memories were folk songs she sang to him. The household was not rich, but the family was comfortable, and the two boys had happy childhoods. In 1887, Ravel began studying harmony, counterpoint, and composition with Charles-René, a pupil of Léo Delibes. Charles-René found Ravel to be a highly musical boy, whose conception of music was natural. Ravel’s earliest known composition was written sometime during this period. In 1888 Ravel met the young pianist Ricardo Viñes, who became not only a lifelong friend, but also one of the foremost interpreters of his works, and an important link between Ravel and Spanish music. A friend for life, Viñes also became an important interpreter of Ravel’s works. 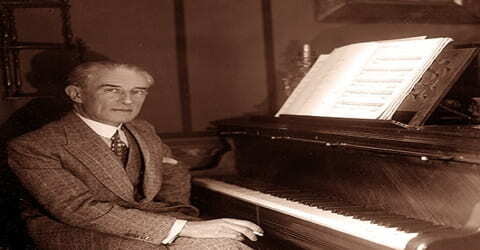 Émile Decombes took over as Ravel’s piano teacher in 1889; in the same year, Ravel gave his earliest public performance. Aged fourteen, he took part in a concert at the Salle Érard along with other pupils of Decombes, including Reynaldo Hahn and Alfred Cortot. In November 1889, Ravel passed the entrance examination at the Conservatoire de Paris, playing music by Chopin, to enter the preparatory piano class run by Eugène Anthiome. Except for a short break in the mid 1890s, he remained with the institution for the next fourteen years. In October 1932, Ravel suffered a blow to the head in a taxi accident. The injury was not thought serious at the time, but in a study for the British Medical Journal in 1988 the neurologist R. A. Henson concludes that it may have exacerbated an existing cerebral condition. Within a year, he started showing symptoms of aphasia, slowly losing his ability to create music. However, he remained physically and socially fit. Encouraged by Bériot, Ravel made a spectacular improvement, composing ‘Sérénade grotesque’, for piano, and ‘Ballade de la Reine morte d’aimer’ on a poem by Rolande de Marès in 1893. These are two of his earliest works to survive in full. Like most geniuses, Ravel had an independent mind, learning on his own terms, something that was not appreciated by the faculty members. He, therefore, failed to earn any other prize, leading to his expulsion from the Conservatoire in 1885. By now, Ravel had realized that he would not make a great pianist and therefore concentrated on composition, publishing ‘Menuet Antique’ in 1895. It was his first published work. Later in the same year, he wrote ‘Habanera’, a Spanish-themed work for two pianos with Viñes. In 1897 Ravel was readmitted to the Conservatoire, studying composition with Gabriel Fauré, and taking private lessons in counterpoint with André Gedalge. His primary composition teacher was Gabriel Fauré. A major disappointment of his life was his failure to win the Prix de Rome in spite of numerous attempts. The difficulty was transparently the conflict between the conservative administration of the Conservatory and Ravel’s independent thinking, meaning his association with the French avant-garde (Debussy), and his interest in non-French traditions (Wagner, the Russian nationalists, Balinese gamelan). He had already established himself as a composer of prominence with works such as his String Quartet, and the piano pieces Pavane pour une Infante défunte, Jeux d’eau, and the Sonatine, and his loss of the Prix de Rome in 1905 was considered such a scandal that the director of the Conservatory was forced to resign. In 1899 Ravel composed his first piece to become widely known, though it made a little impact initially: Pavane pour une Infante défunte (“Pavane for a dead princess”). It was originally a solo piano work, commissioned by the Princesse de Polignac. In 1897 Ravel conducted the first performance of the Shéhérazade overture, which had a mixed reception, with boos mingling with applause from the audience, and unflattering reviews from the critics. One described the piece as “a jolting debut: clumsy plagiarism of the Russian School” and called Ravel a “mediocrely gifted debutant … who will perhaps become something if not someone in about ten years, if he works hard.” Another critic, Pierre Lalo, thought that Ravel showed talent, but was too indebted to Debussy and should instead emulate Beethoven. Over the succeeding decades, Lalo became Ravel’s most implacable critic. Unfortunately, the Conservatoire Director, Théodore Dubois, disliked Ravel as much for his music as for his political outlook, using every weapon against him. 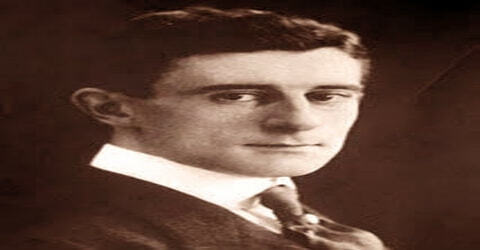 In 1900, Ravel was expelled once again from the Conservatoire for not winning any prize. But as a former student, he was allowed to attend Fauré’s class. Also, in 1900, he became co-founder of Les Apaches (The Hooligans), an informal group of artists, poets, critics, and musicians. In the same year, he submitted a fugue and choral piece for Prix de Rome; but was eliminated in the first round. Nonetheless, he continued with his endeavor. During the first years of the new century, Ravel’s new works included the piano piece Jeux d’eau (1901), the String Quartet and the orchestral song cycle Shéhérazade (both 1903). Commentators have noted some Debussian touches in some parts of these works. Nichols calls the quartet “at once an homage to an exorcism of Debussy’s influence”. In 1901, Ravel once again tried for Prix de Rome, this time submitting ‘cantata Myrrha’, but won only a lower second position. Thereafter, in 1902 and 1903, he submitted ‘cantata Alcyon’ and ‘cantata Alyssa’ respectively; but failed to win any position. In 1905 Ravel, by now thirty, competed for the last time, inadvertently causing a furor. He was eliminated in the first round, which even critics unsympathetic to his music, including Lalo, denounced as unjustifiable. By the latter part of the 1900s, Ravel had established a pattern of writing works for piano and subsequently arranging them for full orchestra. He was, in general, a slow and painstaking worker and reworking his earlier piano compositions enabled him to increase the number of pieces published and performed. There appears to have been no mercenary motive for this; Ravel was known for his indifference to financial matters. The pieces that began as piano compositions and were then given orchestral dress were Pavane pour une infante défunte (orchestrated 1910), Une barque sur l’océan (1906, from the 1905 piano suite Miroirs), the Habanera section of Rapsodie espagnole (1907-08), Ma mère l’Oye (1908-10, orchestrated 1911), Valses nobles et sentimentales (1911, orchestrated 1912), Alborada del gracioso (from Miroirs, orchestrated 1918) and Le tombeau de Couperin (1914-17, orchestrated 1919). Continuing to work successfully, Ravel visited London in 1909, playing for the Société des Concerts Français. It not only gained him favorable reviews but also enhanced his international reputation. Returning home from England, he got together with few of his classmates to set up Société Musicale Indépendente, with their teacher, Gabriel Fauré, as its president. In the inaugural concert, which took place on 20 April 1910, Ravel’s original piano duet version of ‘Ma mère l’Oye’ was performed. Between 1909 and 1912, Ravel composed Daphnis et Chloé for Diaghilev and Les Ballets Russes. It was the composer’s largest and most ambitious work and is widely considered his masterpiece. He wrote a second ballet for Diaghilev, La Valse, which the impresario rejected, but which went on to become one of his most popular orchestral works. Following his service in the First World War as an ambulance driver, and the death of his mother in 1917, his output was temporarily diminished. In 1925, the Monte Carlo Opera presented the premiere of another large work, the “lyric fantasy” L’enfant et les sortilèges, a collaboration with writer Colette. In May 1911, Ravel had his first opera, ‘L’heure espagnole’ premiered at Opéra-Comique, Paris. Although it was modestly successful at that time it became very popular by 1920s. In 1912, he premiered his first ballet, an expanded version of ‘Ma mère l’Oye’. It received great reviews both in Paris and London. Later in the same year, he premiered two other ballets, ‘Adélaïde ou le langage des fleurs’ and ‘Daphnis et Chloé’, which were also equally popular. While his melodies are almost always modal (i.e., based not on the conventional Western diatonic scale but on the old Greek Phrygian and Dorian modes), his harmonies derive their often somewhat acid flavour from his fondness for “added” notes and unresolved appoggiaturas, or notes extraneous to the chord that are allowed to remain harmonically unresolved. Ravel enriched the literature of the piano by a series of masterworks, ranging from the early Jeux d’eau (completed 1901) and the Miroirs of 1905 to the formidable Gaspard de la nuit (1908), Le Tombeau de Couperin (1917), and the two piano concerti (1931). Of his purely orchestral works, the Rapsodie Espagnole and Boléro are the best known and reveal his consummate mastery of the art of instrumentation. But perhaps the highlights of his career were his collaboration with the Russian impresario Serge Diaghilev, for whose Ballets Russes he composed the masterpiece Daphnis et Chloé, and with the French writer Colette, who was the librettist of his best-known opera, L’Enfant et les sortilèges. 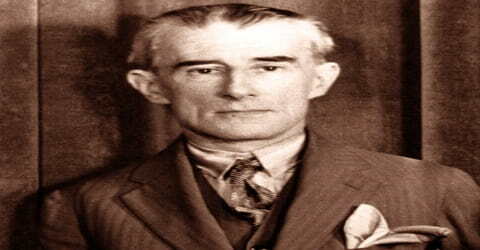 As the First World War broke out in 1914, Maurice Ravel tried to enlist in the French Air Force; on failing to do so due to his small stature, he joined the Thirteenth Artillery Regiment as a lorry driver in March 1915. During the war, he had to transport munitions at night under heavy German bombardment. He also suffered from insomnia and digestive problems, undergoing a bowel operation in September 1916. In the following winter, he had frostbite in his feet. His mother’s death in 1917 also sent him into depression. In spite of that, he continued to work, albeit in much-reduced volume. ‘Le tombeau de Couperin’, composed between 1914 and 1917, was an important work during this period. After the war, those close to Ravel recognized that he had lost much of his physical and mental stamina. As the musicologist Stephen Zank puts it, “Ravel’s emotional equilibrium, so hard won in the previous decade, had been seriously compromised”. His output, never large, became smaller. Nonetheless, after the death of Debussy in 1918, he was generally seen, in France and abroad, as the leading French composer of the era. In 1920, Ravel completed ‘La valse’, the third ballet commissioned by Russian the impresario, Sergei Diaghilev. Diaghilev found ‘La valse’ a masterpiece; but not ballet. Therefore he rejected it. Although Ravel did not protest, he stopped working with Diaghilev. ‘La Balse’ was later performed successfully by others. Continuing to write, Ravel next published ‘Sonata’ and ‘Tableaux d’une’ in 1922; ‘Tzigane’ in 1924; ‘L’Enfant et les sortilèges’ in 1925; ‘Chansons madécasses’ in 1926, ‘Violin Sonata’ in 1927 and ‘Boléro’ in 1928. Although all of them were masterpieces, ‘Boléro’ became most famous. American jazz and blues became increasingly intriguing to the composer. In 1928 Ravel made a hugely successful tour of North America, where he met George Gershwin and had the opportunity to broaden his exposure to jazz. Several of his most important late works, such as the Sonata for Violin and Piano No. 2 and the Piano Concerto in G show the influence of that interest. Ironically, Ravel, who in his youth was rejected by some elements of the French musical establishment for being a modernist, in his later years was scorned by Satie and the members of Les Six as being old-fashioned, a symbol of the establishment. 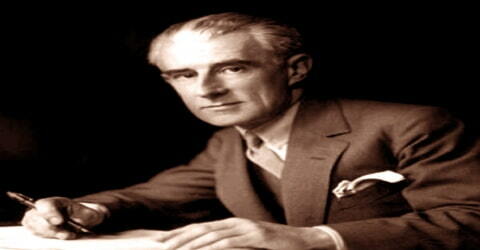 The second work was ‘Piano Concerto in G Major’ which Ravel completed in 1931. Premiered in January 1932, it earned great praise for his score. After that, he could complete only one score, ‘Don Quichotte à Dulcinée’ for voice with piano or orchestra (1932). In 1932, an injury Ravel sustained in an automobile accident started a physical decline that resulted in memory loss and an inability to communicate. In 1937, Ravel began to suffer pain from his condition and was examined by Clovis Vincent, a well-known Paris neurosurgeon. Vincent advised surgical treatment. He thought a tumor unlikely and expected to find ventricular dilatation that surgery might prevent from progressing. Ravel’s brother Edouard accepted this advice; as Henson comments, the patient was in no state to express a considered view. After the operation, there seemed to be an improvement in his condition, but it was short-lived, and he soon lapsed into a coma. In 1920, Maurice Ravel was offered the Légion d’honneur; but he declined to accept it. Later, he also refused election to the Institut de France. Although Ravel declined French honors he was not averse to receiving them from foreign institutions, accepting honorary membership of the Royal Philharmonic Society, United Kingdom, in 1921, Belgian Ordre de Léopold in 1926 and an honorary doctorate from the University of Oxford in 1928. In 1937, Maurice Ravel began to suffer pain and underwent an operation, after which there seemed to be a temporary improvement in his condition. But he soon lapsed into a coma; dying on 28 December 1937 at the age of 62. On 30 December 1937, Ravel was interred next to his parents in a granite tomb at Levallois-Perret cemetery, in north-west Paris. He was an atheist and there was no religious ceremony. 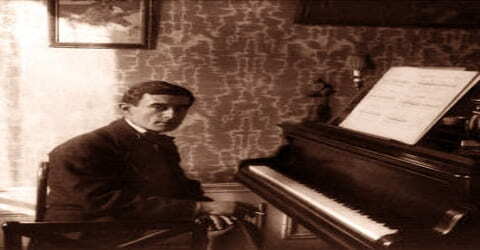 In spite of leaving one of the richest and most important bodies of work of any early twentieth-century composer, one that included virtually every genre except for symphony and liturgical music, Maurice Ravel is most often remembered for an arrangement of another composer’s work, and for a piece, he considered among his least significant. His orchestral arrangement of Mussorgsky’s piano suite Pictures at an Exhibition has been wildly popular with concertgoers (and the royalties from it made Ravel a rich man). Boléro, a 15-minute Spanish dance in which a single theme is repeated in a variety of instrumental guises, has been ridiculed for its insistent repetitiveness, but it is also a popular favorite and one of the most familiar and frequently performed orchestral works of the twentieth century. Ravel’s home at 5, Rue Maurice Ravel in Montfort-l’Amaury, has been turned into a museum, named ‘Maison-musée de Maurice Ravel’ after him. The house, left as he had known, is open to guided tour. His birth certificate, witnessed by a fisherwoman, has been preserved in Ciboure’s town hall. For Ravel, music was a kind of ritual, having its own laws, to be conducted behind high walls, sealed off from the outside world, and impenetrable to unauthorized intruders. When his Russian contemporary Igor Stravinsky compared Ravel to “the most perfect of Swiss watchmakers,” he was, in fact, extolling those qualities of intricacy and precision to which he himself attached so much importance.